Would you also like to play table tennis outside your pool or pool table? 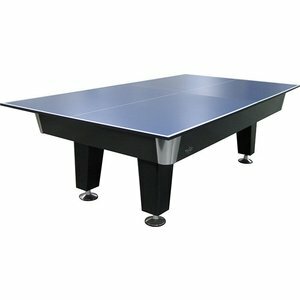 We provide a table tennis table for 2 billions with a netpost and 2 batjes with balls for this. In 2 different colors these table tennis blades are available in both green and blue. And another advantage is that you also create a large dining table or conference table from the (pool) billiard table. Nice table tennis, but not quite the room for a full table tennis table. This is certainly the solution.